Will Non-White Free Agents Shun the Red Sox? The Red Sox look very white. The trade of left fielder Manny Ramirez and loss of shortstop Julio Lugo to injury left the Sox with a predominantly Caucasian roster. Why bring this up now, with the Red Sox in the American League Championship Series? Well, the free-agent market will open in about a month. The makeup of the Red Sox's roster could be a concern for players they pursue, whether it's this off-season or in the future. Of the Red Sox's current players in the ALCS, the only African-American is outfielder Coco Crisp. 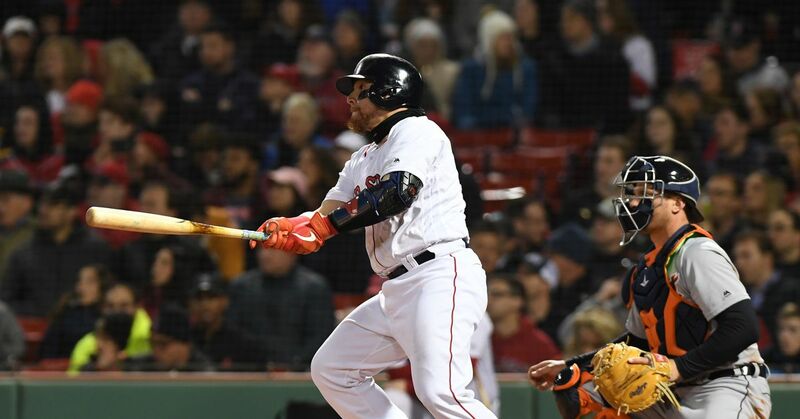 The only Latin Americans are designated hitter David Ortiz, who is from the Dominican Republic, and utility infielder Alex Cora and reliever Javier Lopez, both of whom are from Puerto Rico. Center fielder Jacoby Ellsbury is Native American. Pitchers Daisuke Matsuzaka and Hideki Okajima are from Japan. Reliever Manny Delcarmen is of Dominican descent, and injured third baseman Mike Lowell was born to Cuban parents in Puerto Rico. The Sox's composition is surprising in an era in which rosters are more diverse than at any point in the game's history, even as the number of African-American players continues to decline. Of the other remaining teams in the postseason, the Phillies feature a similar number of non-white players, but two of their biggest stars — first baseman Ryan Howard and shortstop Jimmy Rollins — are African-American. The Dodgers' postseason roster is more than 50 percent non-white, and the Rays' percentage is nearly as high. Both of those clubs feature a number of prominent young African-Americans. The Red Sox's sudden abundance of white players, though, appears nothing more than a coincidence, a fluky snapshot in time. "Our player-personnel decision making is completely color-blind and always will be," Sox general manager Theo Epstein says. I don't doubt him, but if the Sox's roster struck me as odd, I can't help but think that prospective free agents will think it's odd, too. If not for the Red Sox's past, if not for Boston's reputation, the issue might not be even worth raising. But the Sox carry a special burden. They have a shameful history of discrimination, one that their present ownership group has tried to address. And a perception has long existed among some African-American athletes that Boston is hostile to players who are not white. The question is not whether the Red Sox are turning away from blacks and Latins; in recent years, they have parted not only with high-profile Dominican stars such as Ramirez and pitcher Pedro Martinez, but also high-profile white players such as outfielder Johnny Damon and pitcher Derek Lowe. The question is whether the Red Sox will lose players they want because of the makeup of their club, the perception of the city or both. Players generally seek comfort as well as money when they make career decisions. The Sox, with few needs, do not figure to be terribly active in free agency this off-season. They almost certainly will show interest in pitcher CC Sabathia, an African-American, but probably not in the few other top non-white free agents—closer Francisco Rodriguez, second baseman Orlando Hudson, shortstop Rafael Furcal and outfielder Bobby Abreu. Still, the Red Sox could be even more homogenous next season if they trade Crisp and Lugo. You never know when they might need a particular player — either one on the open market or one with a no-trade clause — in 2009, 2010 or beyond. Sabathia, the top pitcher on this year's market, would not necessarily reject the Red Sox because the team lacks African-Americans; he was perfectly comfortable with the Indians, who had a similar mix during his tenure in Cleveland. Then again, Sabathia might prefer to join a team with a greater number of black players or live in a different city. He became good friends with veteran outfielder Mike Cameron in Milwaukee. The Brewers, who feature a sizable contingent of African-Americans, were an unusually close team. The Red Sox, who have drafted African-Americans with their second pick in each of the past two drafts, are not the only team with a shortage of black players: Only 8.2 percent of major leaguers in 2007 were African-American, according to Richard Lapchick, the director of the University of Central Florida's Institute for Diversity and Ethics in Sports. That percentage is the lowest in the two decades that Lapchick has conducted his survey, and less than half than what it was 10 years ago. Latinos comprise a far higher percentage of major leaguers. Several of the Red Sox's top prospects are from Latin America, and the team signed Lugo to a four-year, $36 million free-agent contract after the 2006 season. The Sox won the '07 World Series with Lugo at short. Since then, they've signed first baseman Sean Casey as a free agent and traded for outfielder Jason Bay, pitcher Paul Byrd and outfielder Mark Kotsay—all white players. Bartolo Colon, a Dominican who joined the club as a minor-league free agent, did not last. Also this season, the Sox have added two more white prospects—shortstop Jed Lowrie, who got his chance when Lugo went down with a strained left quad, and reliever Justin Masterson—to a group that already included first baseman Kevin Youkilis, second baseman Dustin Pedroia, closer Jonathan Papelbon and left-hander Jon Lester. Youkilis, Papelbon and Pedroia are All-Stars, while Lester already has thrown a no-hitter and won a World Series clincher. Not even the most skeptical observer could argue with the Sox's motives in advancing those players. Their trade of Hanley Ramirez, a Dominican shortstop who became a star, for right-hander Josh Beckett, a white pitcher who became an ace, also made perfect sense. Clearly, this is not the same franchise that passed on Jackie Robinson and Willie Mays before becoming the last club to integrate in 1959, 12 years after Robinson's debut. The Red Sox did not sign an African-American free agent until 1993, and their failure to win a World Series for 86 years was due in part to their racial practices. All that changed after a group led by John Henry purchased the team in 2002. The Sox established diversity and community-outreach programs, and the team's message of inclusion extends to the clubhouse, where manager Terry Francona fosters a diverse, tolerant environment. The Sox's 2004 World Series championship team was an exuberant mishmash of cultures and personalities. Boston, once derided by former Celtics great Bill Russell as "a flea market of racism," also has come a long way. Ortiz, the Celtics' Kevin Garnett and Patriots' Randy Moss are among the city's most popular stars, as was Ramirez. To some, though, the perception of the city is still negative. In 2004, Barry Bonds said he would not play in Boston because it was "too racist." In '07, Angels outfielder Gary Matthews Jr. said Boston was "one of the few places you'll hear racial comments." The Ramirez blockbuster was not about race; it was about money. Ramirez acted out when the Sox would not trade him or allow him to become a free agent. He pushed down the team's traveling secretary, Jack McCormick, 64. His manager and teammates no longer could trust him to play every day. Yet, fairly or not, Ramirez's messy divorce with the Red Sox could raise suspicions that the team prefers a certain type of player—unassuming, conformist, white. The current makeup of the team's roster might create similar notions, even as the Red Sox say that nothing could be further from the truth. The Sox's agenda is winning. They would be foolish to start acquiring mediocre non-white players to achieve greater racial balance. But frankly, my opinion doesn't matter. The players with choices will decide. This article originally published on FOXSports.com. To see what others have commented on this article, click here. Read more of Ken's columns here.